There are over 60 kilometers (35 miles) of waterways in the region. The area is the second most popular fishing region in the province; second only to the Red River. Situated at the boundary of prairie farmland and boreal forest, Lac du Bonnet is also bird watchers' paradise. Over 300 species of birds can be found within a few kilometers of the Winnipeg River. This variety is mainly due to the region's unique topography and assortment of rivers, lakes and marshes. 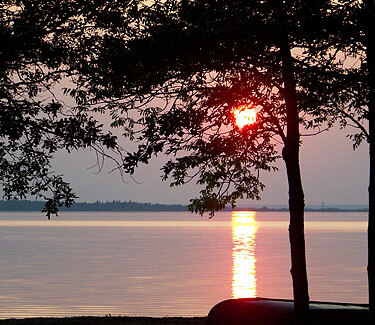 Swimming, boating, water skiing, baseball and slow-pitch are popular summer activities, and are enjoyed by thousands of cottagers, campers and locals who spend their summer vacations in the area. Lac du Bonnet along with other regional Municipalities, have joined in as partners to the building of the Trans-Canada Trail. Winter activities include snowmobiling, cross-country skiing and ice fishing. An active Recreation Commission with a full-time Recreation Director on staff coordinates many programs and activities year round in conjunction with the town. Power toboggan clubs and groomed trails, archery, walking and cycling trails and Old Pinawa Dam Provincial Heritage Park are located within the region.